Football Quiz | How well do you know Real Madrid? Are you a Real Madrid fan? How well do you know about Real Madrid? Real Madrid was found on 6th March 1902 under the name Madrid Football Club. In 2018, Real Madrid was the highest earning football club in the world. So, Let’s check your knowledge of Real Madrid in this quiz. Also read : 3 players who need to perform for Real Madrid to win LaLiga 2018-19. Rules: Rules of this quiz are simple. There are 6 questions and 4 options for each question. There is only one option is correct respective to its question. You will move to next automatically until all the questions are finished. Home ground of Real Madrid? Which is not the jersey color of Real Madrid? Who is the all time top goal scorer for Real Madrid? 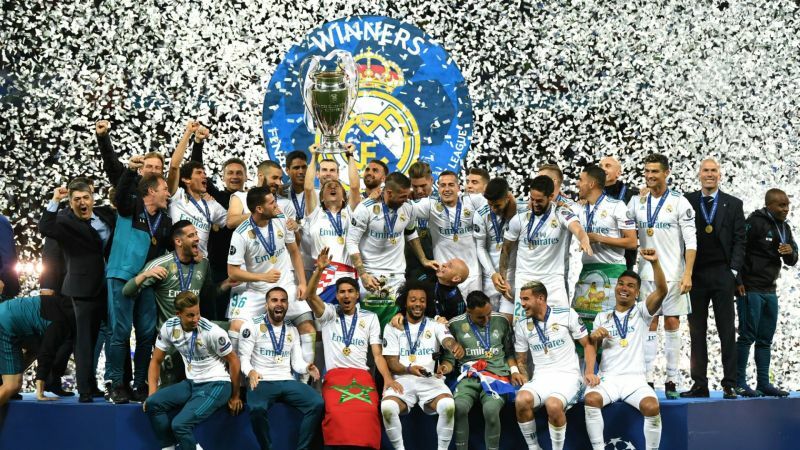 Which was the season, Real Madrid do not win UEFA Champions League? Spanish meaning of "Real" from Real Madrid is? Who is the current captain of Real Madrid? Follow SportsWhy for more amazing articles on Football and other sports. Keep visiting we will be back with another amazing Football Quiz for you.